If you’re anything like me, you’ve been spending the last few months with a strong sense of impending doom with all the new legislation the Abbott government is intending to implement. I’ve spent many a day with my eyes glued to my phone in horror reading article after article about the ways in which my life, and the lives of a majority of Australians, will become ever more difficult, while being bombarded with messages trying to convince me that it’s actually what’s best for the country. This is particularly so when it comes to the new policies surrounding Newstart recipients. As someone who has been a jobseeker for several years now, it’s difficult not to feel like the government is punishing people when they are struggling the most. The stigma and lies perpetuated by the current government have people believing that welfare recipients are all lazy and are spending their money frivolously, and that we’re all just comfortable sitting on our rears every day, laughing at how we are getting money for doing absolutely nothing. While this has been proven in studies to be completely untrue, the government is using those negative stereotypes to their advantage, instead of actually looking at the facts. Anyone who really believes that being on Newstart means coasting by has no idea how cruelly difficult it is to actually be someone on unemployment benefits at present. First, the maximum rate of allowance for a single person on Newstart is just $255.25 per week. Even when adding rent assistance, people receiving Newstart are in fact living under the poverty line. If you believe that Australia is spending too much money on unemployment benefits, compared to most other OECD nations, we are actually spending very little. Continuous job search requirements mean that people are often applying for jobs they don’t really want and are not qualified for just to meet the numbers, instead of putting in the time required to create good quality applications. If, by some chance, an interview is offered, we are required to attend said interview, or our payment will get cut off for eight weeks. Then, if we are actually offered a job, we have to take it no matter what it is, or again risk our payment being cut off. We cannot then quit this job unless we have medical proof it was effecting our health, or again, we risk eight weeks of no payment. We must attend appointments with an appointed job service provider on a regular basis, because if we don’t have a medical reason for not showing up, our payment will be cut off. When we start earning money, we can only earn around $62 per fortnight before money is taken from our payment, and it often gets to the point where you will end up with less money, even if you are employed, due to the reduction in your payment for the money you earn from working. This is what it is like already for jobseekers, and the government is looking to make things even harder. Along with the new requirement that jobseekers apply for 40 jobs per month, the government wants to introduce a six month waiting period for Newstart recipients, who must prove they have been searching for employment during this time, as well as a mandatory 25 hours per week of work for the dole after the six month waiting period for jobseekers aged between 25 and 30 years old who have a full capacity to work. Jobseekers aged between 30 and 50 will need to do 15 hours per week in order to continue receiving payments. So what is work for the dole? Originally implemented by the Howard Government, this program was meant to be a way in which people who had been on benefits for an extended period of time could essentially work for their payments. This is supposed to be a way in which job seekers could gain experience and help them become employed. 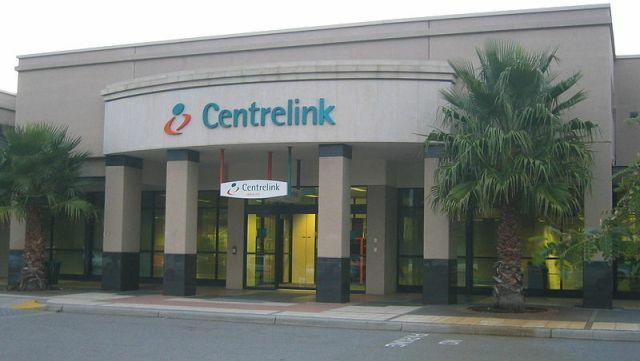 But research on the Work for the Dole program has shown that that it does not in fact help job seekers find work, and in many cases often hinders their efforts. The stigma that is attached to people who have participated in the Work for the Dole program makes it even harder for those jobseekers to find someone who wants to employ them. Work for work’s sake is not a beneficial system; rather, providing better training and skills building programs and education is what genuinely helps job seekers find employment. Programs in place specifically targeted at disadvantaged demographics have had proven success in getting people into, and keeping them in, employment. These policies will only end up punishing young people and increasing their inability to find work when the odds are already stacked against them. Youth unemployment and its impact on the health of the Australian economy is something that needs to be addressed with support and encouragement, not with punitive measures and increased participation in a mandatory work program that hasn’t been proved beneficial. The stigma perpetuated by the government needs to be critically pulled apart and replaced with the evidence that is out there. We need to push for better policy making based on this evidence, and we should continue to question and seek truth from the people in charge of our country. Ruth, I have just written a letter to Christopher Pyne regarding this very issue. I state my postion, skills and previous work history and yet here I am at 28 and unemployed. Its getting close to 12 months since I last worked and not a single interview I have secured has been through Workskills, my centrelink mandated, “employment service provider”. Does the Australian public actually think these organisations goal is to get you into gainful, long term employment? I hope not because they do their level best to blame you for your position. I have been with these organisations off and on for the past 5 years. Not a single one provided me even with an interview. All I got was constant empty promises. The aged care industry seems to be inundated with base level staff who have health conditions often worse then the residents they are employed to care for and are so overweight they cannot see their toes. Yet the government funds course after course for the aged care industry. But where is the work? This government is a joke and full of lies. This has to change. I cannot have a family nor will I ever be able to afford a house in the life I currently lead. The Australian dream long ago died as a false reality to me. This entry was posted in Featured, Opinion and tagged australia, politics. Bookmark the permalink.